The Paddington Bears ASL Club is a very long-lived Australian ASL group, most famous for the scenarios they designed and playtested in the 1990s and published by Critical Hit (in three scenario packs and several issues of Critical Hit Magazine). 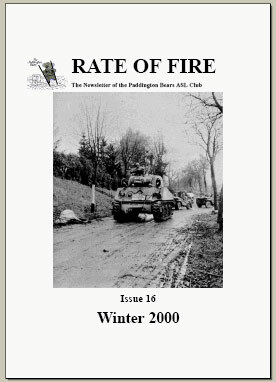 Rate of Fire was the club newsletter; in the early 2000s, it was edited by Mark McGilchrist, then David Longworth. Content included club news, tournament reports, historical articles, designers notes, and AARs. Quality varied but was generally good. 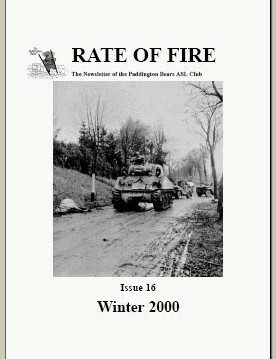 Several issues of Rate of Fire from the early 2000s were made as freely downloadable PDF files at http://users.tpg.com.au/mmjm/rof.htm.